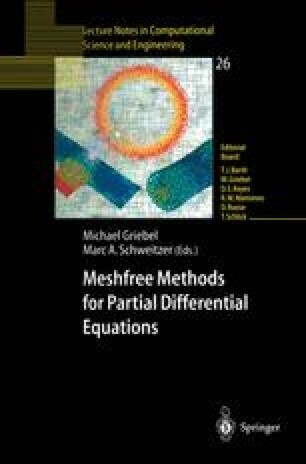 A mixed approximation coupling finite elements and mesh-less methods is presented. It allows selective refinement of the finite element solution without remeshing cost. The distribution of particles can be arbitrary. Continuity and consistency is preserved. The behaviour of the mixed interpolation in the resolution of the convection-diffusion equation is analyzed.